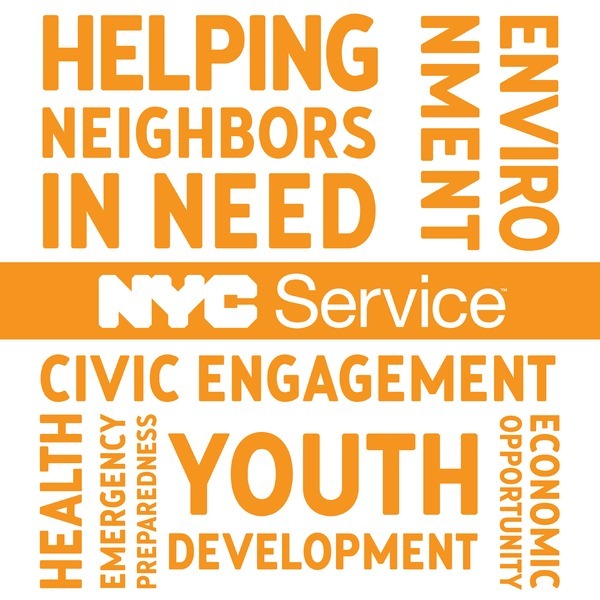 The NYC Service Bureau is a capacity building model for NYC city agencies to more effectively and efficiently carry out their priorities, and meet community needs by strategically engaging residents as volunteers. The Bureau’s goal is to increase and measure volunteer impact on the City’s greatest needs: Education, Economic Opportunity, Environment, Health and Emergency Management. 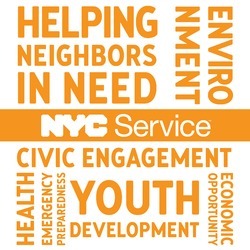 Various New York City agencies strategically engage volunteers to create community solutions. The agencies below have opportunities for New Yorkers like you to give back and address critical needs within our City. NYC Parks - Join the thousands of New Yorkers who keep our city’s parks and playgrounds clean and green. NYPD - The NYPD's auxiliary police program is the largest auxiliary police program in the United States, with thousands of volunteer officers contributing more than one million hours of public service each year. Department of Corrections - DOC's volunteers provide a variety of activities, programs, and services to the inmate population to promote the rehabilitation, personal growth, and character development of those incarcerated. 8.6 Million New Yorkers. Together, Serving Each Other.